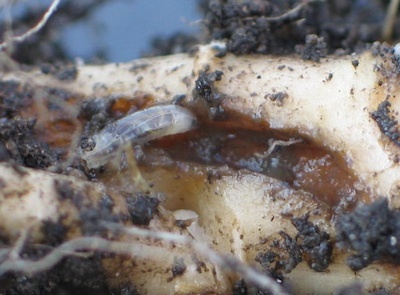 Root maggots and root disease often show up together in the same field. 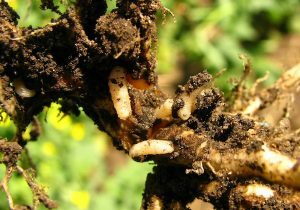 Root maggots are white and up to 10 mm (half an inch) long — just like maggots. 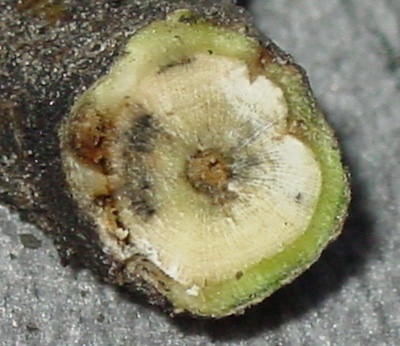 Maggot feeding can damage root crowns and impede water movement, causing wilting. 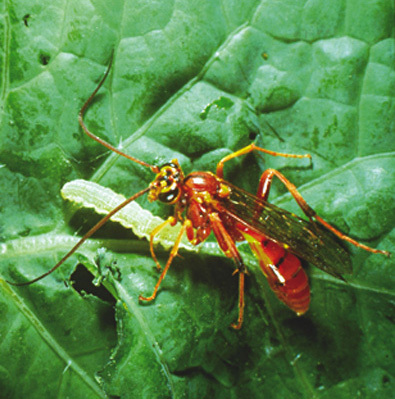 Severe feeding can cause plant death.